Congratulations to John Sherstobitoff, recipient of the 2019 Association of Consulting Engineering Companies (ACEC) Meritorious Achievement Award. This prestigious award recognizes John for his contributions to the engineering industry, volunteering and giving back to the community, and being a dedicated thought leader for structural and seismic analysis and design. Considered one of the world's most successful and respected seismic experts, John has had an impressive engineering career leading innovative projects around the globe. 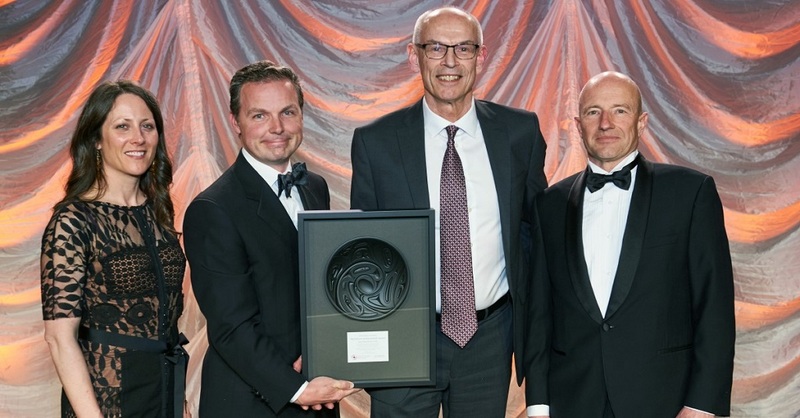 John was presented this award at the 30th Annual ACEC-BC Awards of Engineering Excellence Gala held in Vancouver, Canada on April 6, 2019.